You will love the Couloir harness when ski mountaineering. It is light, ultra packable and easy to put on, even when wearing your skis. Comes in 4 different sizes. 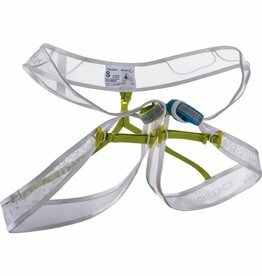 Designed for ski mountaineers and alpine climbers, the Petzl Altitude Harness is ultra-light and ultra-compact. Can be don with your feet on the ground.